NACEDA's 10th Anniversary Summit was a dynamic peer-learning event featuring a keynote discussion with Dr. Michael McAfee, the new President & CEO of PolicyLink. 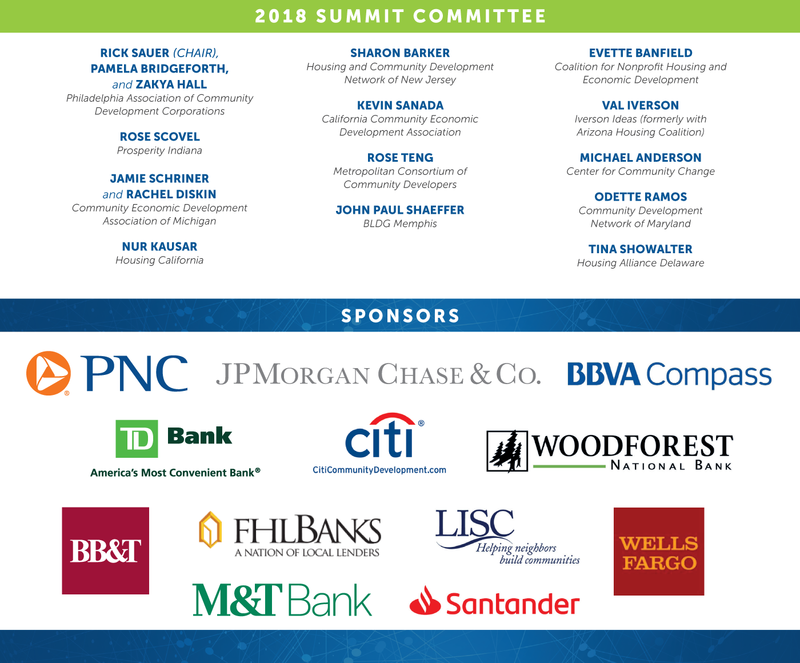 View the summit agenda to explore sessions specially designed for community development association professionals and their partners. Summit speakers shared their success and challenges on advancing policy initiatives, partnering with health providers, using arts and culture to engage communities, and developing effective networks. Participants strengthened their network of peers across the country who are working at the state and regional levels to advance prosperity in lower-income places.